Feb. 8th in Gennett History, 1899: Lonnie Johnson was born. The legendary guitarist recorded several sides, some with Jimmy Blythe, under the pseudonym George Jefferson in Richmond on Dec. 13 & 14, 1927. This is his Gennett Walk of Fame medallion. 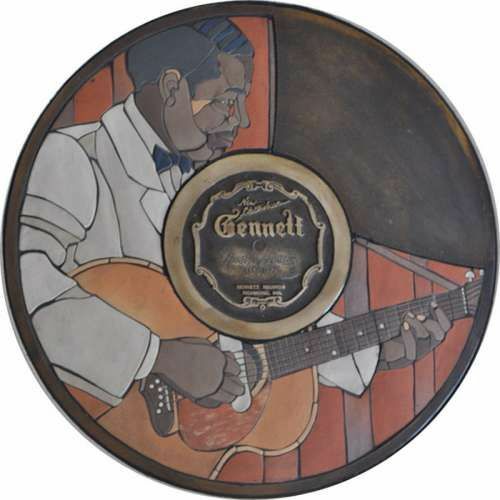 Image | This entry was posted in February, Gennett, Gennett Walk of Fame, Lonnie Johnson and tagged February, Gennett, Gennett Records, Gennett Walk of Fame, Lonnie Johnson. Bookmark the permalink.